North East Lincolnshire Council’s 153 static CCTV cameras and 17 Rapid Deployment Cameras are monitored 24 hours a day, 7 days a week, 365 days year. The Rapid Deployment Cameras are used in specific areas where a potential risk may exist. The system is monitored by a team of dedicated control room staff. All staff are trained, qualified and hold a current CCTV SIA license. The Council do not operate CCTV cameras to enforce parking or moving traffic regulations. The system is operated in partnership with Humberside Police and other agencies, and images can be transmitted from the Council’s control room to the police control room as events are actually happening. Our control operators are also constantly in touch with Humberside Police control room via the airwaves radio network, giving an instant response to incidents. Read more information about Security services in North East Lincolnshire. Requests can be made by the police, partner agencies or members of the public, however they must meet the required criteria and comply with the Data Protection Act and the NELC Code of Practice. Once a request is received CCTV staff will search and review footage then confirm or deny the presence of images. To enable staff to access the hard drives of the system in the first instance a CCTV Review Request Form must be completed with as much information as possible to aid the search and accurate identification of the images required. NOTE: This is NOT a release form, if images are identified they will be archived in line with the NELC Code of Practice and the Data Protection Act and the requestor notified along with advice on the next course of action depending on the content of the images archived. Where an application is received from a member of the public for personal data, a data Subject Access Request Form (Word document) must be completed along with a £10 administration fee. Once received the request will be processed and a written response, within 41 days in line with Government legislation, will be provided. 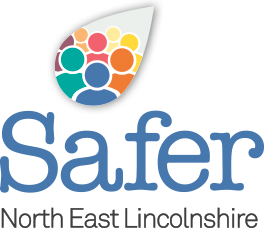 For more information on data protection go the North East Lincolnshire Council Data protection page. The Council currently operates and monitors a total of 148 static CCTV cameras and 17 Rapid Deployment Cameras. The Rapid Deployment Cameras are used in specific areas where a potential risk may exist. Disclosure of the exact locations of all CCTV cameras is deemed to be likely to prejudice the prevention and detection of crime, and the apprehension or prosecution of offenders. All cameras are linked to the control room via a mixture of Microwave, BT Fibre, 802 Wireless, Verint wireless and Radio systems, all operators are employed by North East Lincolnshire Council however the workforce providing maintenance are externally contracted. The Council do not operate CCTV SMART car systems. Our purpose-built Control Room operates 24 hours a day and is a registered Alarm Monitoring Station. It is capable of monitoring and responding to a variety of alarms and is currently linked to over 200 intruder, fire, lift and PA alarms. Patrol staff are in constant radio contact with the Control Operator and respond immediately by attending the alarm site. The Control Room has direct access to the Police and other emergency services as well as on-call tradesmen. The Control Room also responds to out-of-hours calls and monitors both remote wireless and broadband transmission CCTV cameras. The Control Room and Patrol staff operate to British Standards BS5979 ,BS5839, BS5266 and BS7958.